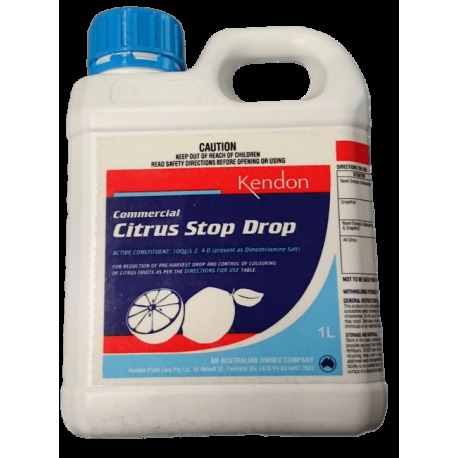 Kendon's Commercial Citrus Stop Drop is a Professional Concentrate used for the reduction of pre-harvest drop and control of colouring of citrus fruit. 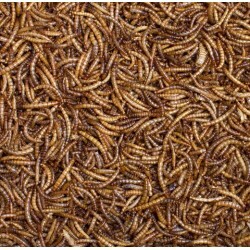 The main usage period is in autumn. Timing is listed in directions for use. For reduction of pre-harvest drop, apply in April/May (at colour break) when the rind colour changes from dark to light green - 10ppm. Apply the spray to wet the fruit buttons. Make sure fruit is thoroughly wetted. 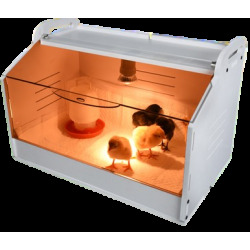 For retardation of colouring, delay ageing of rind. 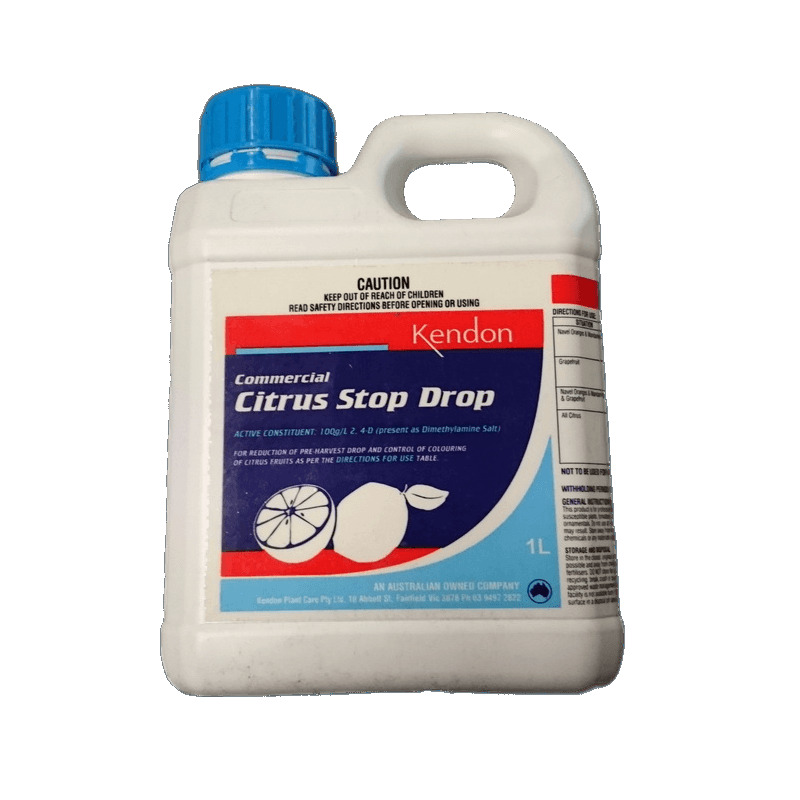 Addition of Gibberellic Acid to Citrus Stop Drop will hold fruit in good condition until July. 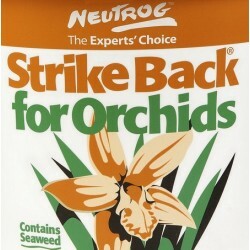 Do not mix this product with other agricultural chemicals except when Gibberellic Acid is recommended. 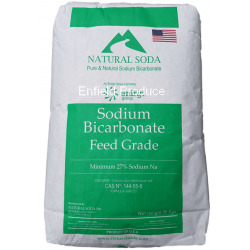 Can be mixed with fungicides in the bulk dipping tank. 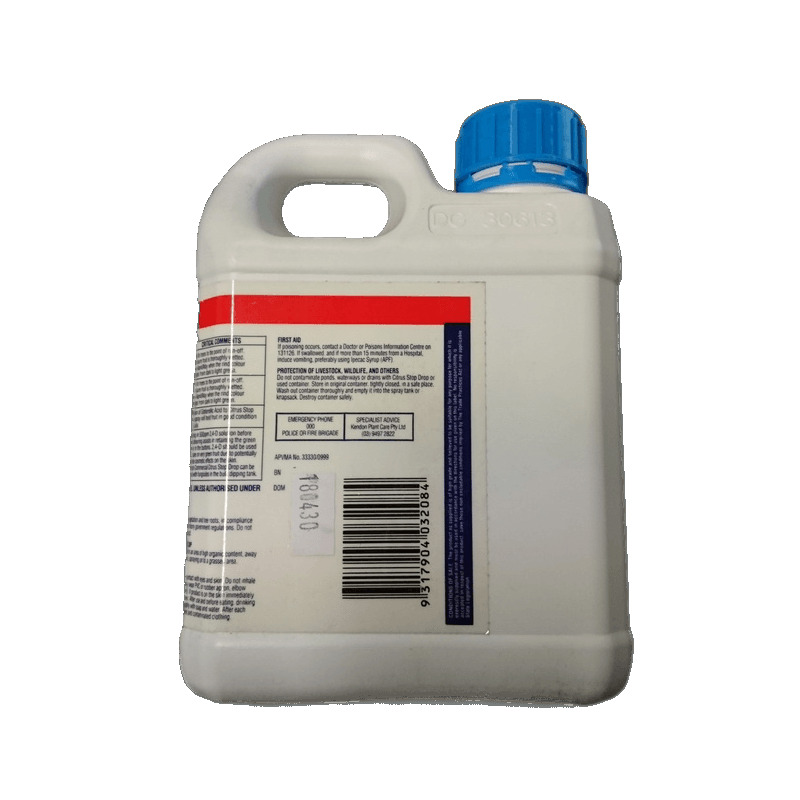 Used dip should be disposed of in an area of high organic content, away from drainage lines, for example spraying on to a grassed area. Poisonous if swallowed. Avoid contact with eyes and skin. Do not inhale spray mist. When preparing spray, wear PVC or rubber apron, elbow length PVC gloves and face shield. If product is on the skin immediately was the area with soap and water. After use and before eating, drinking or smoking, wash hands thoroughly with soap and water. After each day's use wash gloves, face shield and contaminated clothing.